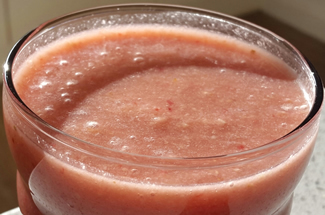 This sweet smoothie is ideal for run recovery or a breakfast. Oat cakes add a lovely texture. Simply drop these ingredients into a blender, then blend for about 20-30 seconds.